If you are interested to homeschool your child or are already homeschooling, chances are, you are looking for resources about homeschooling. As a homeschooling mom of 2 children for the past 6 years, I have been reading a number of good books which have helped me in our homeschooling journey. Let me share with you those that have been truly helpful to me and has somewhat influenced the way we homeschool in our family. So You’re Thinking About Homeschooling by Lisa Whelchel. A friend lent this book to me when she found out that I was interested in homeschooling 6 years ago. This book shared how 15 different families made homeschooling work. This book gave me an idea how homeschooling actually happens in the family and showed me that homeschooling can work regardless of family lifestyle. 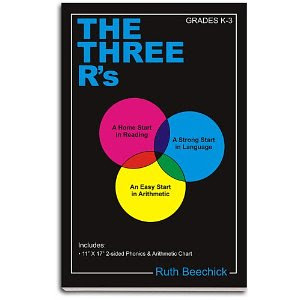 The Three R’s Series by Ruth Beechick. This is for those with younger children, toddler age to grade 2. Ms. Beechick stressed that home teachers should focus early-on the three Rs which include Reading, wRiting and aRithmetic. The Well Trained Mind by Susan Wise Bauer. I read this book when we started homeschooling but I was overwhelmed by the classical method during that time. After 5 years of homeschooling, I read this book again and this time, I now understand why my daughter had a hard time with Math and I actually want to try a more classical approach in our homeschool. Ms. Bauer is able to explain the classical approach very clearly and orderly through this book. Simply Homeschool : Having Less Clutter and More Joy in Your Homeschool by Karen DeBeus. Sometimes as moms, we tend to build clutter around the house. Ms. De Beus helps us get rid off clutters that hover around us and bring the joy back to our homeschooling. I loved how this book helped me refocus and redefine our homeschool journey. I have kept the last 3 books in my list as my personal copies since I re-read them especially during breaks so that I can be re-energized, refocused and be ready for the new school year. In celebration of the World Read Aloud day, I am sharing with you some of our favorite books which are FREE as of today from Kindle. We love actual books but with the limited space we have and with the resources available online, there are generally some books we read using ebooks, particularly with Kindle. I hope that your family will enjoy these classic ebooks as much as we did!